← In the Garden, Washington, Conn. The ivy-covered red barn and the remnants of the fallen down silo in the grass have often prompted me to photograph at this spot, but I was never quite happy with the results. Today I was finally satisfied that I might just have something this time. This entry was posted in Farm Views and tagged Barns, Color Photography, Farms, Ivy, Landscape Photography, Red Barn. Bookmark the permalink. 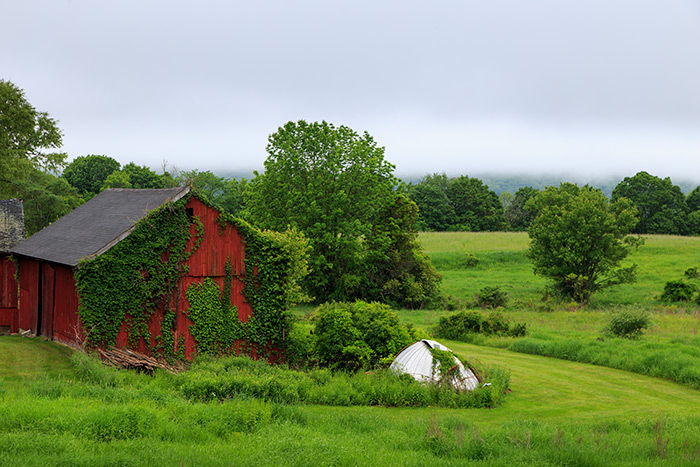 1 Response to Red Barn, Misty Hills, Sherman, Conn. VERY COOL, YOU NAILED IT!!! !